The ABC network gives their take on the TV show ratings for week 24 of the 2011-12 season, from February 27th through March 4th. To see the week-to-week ratings trends, averages, rankings, and more, check out our ratings pages for these shows: 20/20, America’s Funniest Home Videos, The Bachelor, Body of Proof, Castle, Cougar Town, Desperate Housewives, GCB, Happy Endings, Last Man Standing, The Middle, Modern Family, Once Upon a Time, Primetime, Revenge, Shark Tank, and Suburgatory. During the week of February 27, 2012, ABC delivered 5 of the Top 20 scripted television programs, including the No. 1 scripted series overall with “Modern Family” and the No. 1 freshman drama with “Once Upon a Time:” “Modern Family” – No. 1, “Once Upon a Time” – No. 7, “Happy Endings” – No. 13, “The Middle” – No. 14 and “Desperate Housewives” – No. 17. Opposite competition including NBC’s “The Voice,” CBS’ original lineup and Fox’s “Daytona 500,” ABC equaled its best numbers since season-premiere Monday in Adults 18-34 (2.0/6) and Women 18-34 (3.0/8). In addition, ABC registered as the No. 2 Net on the night with Women 18-34 for the 4th week in a row. Despite facing stiff competition throughout its 2-hour broadcast, ABC’s “The Bachelor” grew week to week in Adults 18-49 (+4% – 2.6/7 vs. 2.5/6) to match its 2nd-highest number this season. In addition, the ABC unscripted series equaled season-high ratings with Adults 18-34 (2.3/7) and Women 18-34 (3.5/9). “The Bachelor” finished No. 2 in its time period with key Women (W18-34/W18-49). Gaining on its lead-in by 1.0 million viewers in the 10:00 p.m. hour, ABC’s “Castle” finished on the heels of CBS’ “Hawaii Five-0” (pacing within 500,000 viewers), while outdrawing NBC’s “The Voice”- -driven “Smash” by 2.5 million viewers (9.1 million vs. 6.6 million). ABC’s “Castle” was also the No. 2 drama in the hour with Adults 18-34 (1.6/5) and Adults 25-54 (2.7/6). In the 8:00 p.m. half-hour, ABC freshman “Last Man Standing” drew 2.0 million more viewers than NBC’s “The Biggest Loser 13” (7.5 million vs. 5.5 million), while topping the NBC unscripted series by 16% in Adults 18-49 (2.2/6 vs. 1.9/5). · “Last Man Standing” earned its best number in 6 weeks with Adults 18-34, while achieving a 12-week high with Women 18-34. In addition, the broad-appealing ABC sitcom posted double-digit week-to-week gains in Kids 2-11 (+13%). Despite facing Fox’s “American Idol” in the 8:30 p.m. time slot this week, ABC’s “Cougar Town” delivered impressive retention of its week-ago numbers in Adults 18-34 (100%) and Adults 18-49 (94%), while growing over the prior week by 10% with hard-to-reach Men 18-34 to hit a season-high. · “Cougar Town” produced big year-to-year improvement for ABC in the half-hour, boosting its slot by 33% in Adults 18-49 over original programming on the same night last year (1.6/4 vs. 1.2/3 on 3/1/11). With its biggest audience in 3 weeks, ABC’s “Body of Proof” stood as the 2nd-most-watched TV show overall in the hour, dominating the season finale of NBC’s “Parenthood” by 31% in Total Viewers (6.8 million vs. 5.2 million). Opposite Fox’s 2-hour “American Idol” in prime, ABC improved over the year-ago Wednesday for the 4th week in a row, scoring double-digit gains in both Total Viewers (+18% – 8.0 million vs. 6.8 million) and Adults 18-49 (+26% – 2.9/8 vs. 2.3/7). In fact, ABC was the only major net to grow year to year on either Nielsen measure. The Network ran No. 2 to Fox on Wednesday with Adults 18-49 (tie), Adults 18-34 and key Women (W18-34/W18-49). · ABC’s “Modern Family” posted its most competitive finish ever against “American Idol” in Adults 18-49 (4.8/12 vs. 5.0/13 – pacing within 2-tenths of a rating point of tying as the night’s top show), while outperforming “Idol” by 21% in Adults 18-34 (4.1/12 vs. 3.4/11) to rank as Wednesday’s No. 1 TV show overall for the 3rd time in 4 weeks. 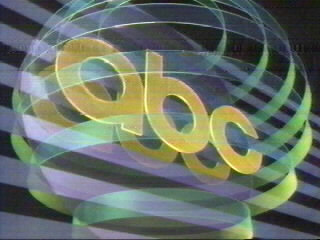 The ABC comedy was also the night’s No. 1 show for the 2nd week running with Women 18-34 and key Men (M18-34/M18-49). · ABC’s Wednesday numbers jumped week to week by 18% in Total Viewers and by 21% in Adults 18-49. At 8:00 p.m., against CBS’ “Survivor: One World” and Fox’s “Idol,” ABC’s “The Middle” took full control its NBC comedy competition, outdrawing “Whitney” by 4.1 million viewers (8.2 million vs. 4.1 million) and by 73% in Adults 18-49 (2.6/7 vs. 1.5/5). In addition, the ABC comedy continued to beat out “Survivor” by impressive margins with Adults 18-34 (+29%), Men 18-34 (+50%) and Women 18-34 (+24%). · Up week to week in Total Viewers (+9%) and Adults 18-49 (+18%), “The Middle” scored a 5-week high among young adults (tie) – since 1/11/12. In addition, the show was up over its year-ago telecast with viewers (+4%) and young adults (+13%). At 8:30 p.m., ABC’s “Suburgatory” towered over its freshman comedy competition in its slot, nearly doubling the audience of NBC’s “Are You There, Chelsea?” (+94% – 6.8 million vs. 3.5 million) and for the 2nd week in a row leading by a best-ever 77% in Adults 18-49 (2.3/6 vs. 1.3/4). For the 3rd time in as many telecasts, the ABC freshman comedy outran the second half of “Survivor” by double digits across the 18-34 demos: AD18-34 (+21%), M18-34 (+30%) and W18-34 (+24%). · “Suburgatory” generated big year-over-year gains for ABC, growing the slot by 1.1 million viewers and by 36% in Adults 18-49 over the year-ago Wednesday. The dominant No. 1 scripted show on Wednesday in Adults 18-49 (4.8/12), ABC’s “Modern Family” more than doubled its lead-in at 9:00 p.m. to outdeliver its closest scripted competition by 55% (CBS’ “Criminal Minds” = 3.1/8). · “Modern Family’s” results jumped over the same night last year by double digits in viewers (+15%) and young adults (+17%). During the 9:30 p.m. half-hour, ABC’s “Happy Endings” stood as the No. 1 scripted show in its slot with Adults 18-34 and Women 18-34 for its 16th straight original airing. · Once again boosting its slot year to year, ABC’s “Happy Endings” was up 13% in Adults 18-49 (2.7/7 vs. 2.4/7) above the year-ago performance of “Mr. Sunshine” in the half-hour. Finishing a strong No. 2 during the 10:00 p.m. hour, ABC freshman drama “Revenge” dominated NBC’s veteran “L&O: SVU” in viewers (+39% – 7.5 million vs. 5.4 million) and Adults 18-49 (+50% – 2.4/6 vs. 1.6/4). In addition, the Disney-owned drama continued to rank No. 1 in its hour with Adults 18-34 and key Women (W18-34/W18-49). · ABC’s “Revenge” marked a huge year-over-year improvement during Wednesday’s 10 o’clock hour, leaping by 50% in Total Viewers and by 41% in Adults 18-49 over first-run drama programming on the same night last year (“Off the Map” on 3/2/11 = 5.0 million and 1.7/5). During the 8 o’clock hour, ABC’s “Shark Tank” finished a strong second versus its net rivals in Adults 18-49 (1.6/5), while ranking No. 1 with Adults 18-34 and Men 18-34. · Continuing to generate big year-over-year gains for ABC, “Shark Tank” is improving its hour by 51% in Total Viewers and by 73% in Adults 18-49 over the same nights last year. In fact, in viewers and young adults, it is ABC’s top series in the hour in 6 years – since the 2005-06 season. In addition, “Shark Tank” is posting its strongest season yet, up 19% in Total Viewers and 27% in young adults over last season. At 9:00 p.m., ABC’s “Primetime: What Would You Do?” ran in a near tie for No. 1 with NBC’s “Grimm” among Adults 18-49 (1.5/5 vs. 1.6/5 – pacing within 1-tenth of a rating point and tied in audience share). In addition, the ABC newsmagazine topped its net rivals in Adults 18-34, beating out NBC’s “Grimm” by an impressive 30%. · ABC’s “Primetime: What Would You Do?” jumped week to week by 13% in Total Viewers and by 7% in Adults 18-49. During the 10 o’clock hour, ABC’s “20/20” beat out its newsmagazine competition by wide margins, outdelivering NBC’s “Dateline” by 1.3 million viewers (5.3 million vs. 4.0 million), by 25% in Adults 25-54 (2.0/5 vs. 1.6/4) and by 15% in Adults 18-49 (1.5/4 vs. 1.3/4). ABC’s “20/20” featured Elizabeth Vargas’ exclusive interview with Gabe Watson, the man who was once accused of killing his new wife while scuba diving on their honeymoon in Australia. Driven by the premiere of “20/20: My Extreme Affliction” against original programming on each of the other nets, ABC posted a first-place finish on Saturday in Adults 18-49 (1.2/4), outdelivering CBS by 33% (with “48 Hours Mystery” – 0.9/3), Fox by 50% (with the debut of “Q’ Viva! The Chosen”- 0.8/2) and NBC by 140% (with “The Firm” – 0.5/2). Building on its lead-in at 9:00 p.m., ABC’s “20/20: My Extreme Affliction” surged to the top of its 2-hour time period in Adults 18-49 (1.3/4) and Adults 25-54 (1.7/5), beating CBS by 30% (1.0/3) and 13% (1.5/4), respectively. Anchored by John Qui?ones, ABC’s “20/20” took viewers into the lives of people with some of medicine’s most extreme conditions or who have unbelievable abilities. · Saturday’s No. 1 primetime TV program in Adults 18-49, ABC’s “20/20: My Extreme Affliction” outdelivered its premiere competition on the evening, topping Fox’s debut of “Q’ Viva! The Chosen” (8:00-10:00 p.m.) by a resounding 63% (1.3/4 vs. 0.8/2). · “20/20” generated substantial time period improvement for ABC in the 2-hour time period, boosting the slot by 1.6 million viewers, by 30% in Adults 18-49 and by 42% in Adults 25-54 over its season averages with regular non-sports programming. ABC (2.6/7) dominated Sunday night in Adults 18-49 over nearly all-original competition on the other nets, outdelivering CBS by 24% (2.1/5), Fox by 30% (2.0/5) and NBC by 53% (1.7/4). · In Adults 18-49, the Net matched its top-rated Sunday with regular programming in 1 year – since 3/6/11. ABC’s “America’s Funniest Home Videos” ranked a strong No. 1 during the 7 o’clock hour in Adults 18-49, beating out runner-up CBS’ “60 Minutes” by 38% (2.2/6 vs. 1.6/5). · Hitting season highs for its 3rd consecutive airing, “America’s Funniest Home Videos” rose 10% over its last broadcast to equal its best Adult 18-49 number in well over 2 years – since 1/31/10. Gaining ground for its 2nd straight telecast (coming off a pre-emption the prior week for the “Oscars”), ABC’s “Once Upon a Time” won the 8 o’clock hour in viewers (10.7 million) and young adults (3.4/9) to finish as Sunday’s No. 1 broadcast show among Adults 18-49. Dominating from 8:00-9:00 p.m. with young adults, ABC’s “Once Upon a Time” outran CBS’ “The Amazing Race” by 21% (2.8/7) and Fox’s animated comedies by 48% (“The Simpsons”/”Napoleon Dynamite” = 2.3/6). · Growing its numbers for its 2nd telecast in a row, “Once Upon a Time” was up over its last airing two weeks ago by 9% in Total Viewers and by 10% in Adults 18-49 to mark its best performance since the end of January – since 1/29/12. Up over its most-recent airing two weeks ago in viewers (+8%) and young adults (+14%), ABC’s “Desperate Housewives” (2.5/6) led the pack in the 9 o’clock hour with young adults (tied w/Fox’s comedies), outpacing the first hour of NBC’s “Celebrity Apprentice” by 14% (2.2/5) and CBS’ “The Good Wife” by 32% (1.9/4). · “Housewives” drew its biggest audience in 8 weeks (8.2 million) and hit a 6-week high with young adults – since 1/8/12 and 1/22/12, respectively. Exhibiting strong retention of its “Housewives” lead-in (93% in viewers/88% in young adults) during the 10 o’clock hour, ABC’s series debut of “GCB” finished No. 2 in its slot against established competition, drawing 9% more viewers than the second half of NBC’s 2-hour “Celebrity Apprentice” (7.6 million vs. 7.0 million) and beating out CBS’ veteran “CSI: Miami” by 5% in Adults 18-49 (2.2/6 vs. 2.1/5). The new ABC drama ranked No. 1 in its time period with Adults 18-34 (tie) and across all key Women (W18-34/W18-49/W25-54). · In viewers and young adults, “GCB” produced a 5-month high for ABC with regular programming in the time period – since 10/2/11. · The new drama improved its hour year to year, outperforming “Brothers & Sisters” on the same night last year (7.4 million and 2.1/6 on 3/6/11) in both viewers (+3%) and young adults (+5%). Source: The Nielsen Company, National, Live+ Same Day Program Ratings, week of 02/27/12.